Running for 4,3km from Boulevard Saint Michel down to the edge of Paris at the Porte de Versailles, the Rue de Vaugirard is the city’s longest street. What could I discover by drifting the full length of this historical artery? 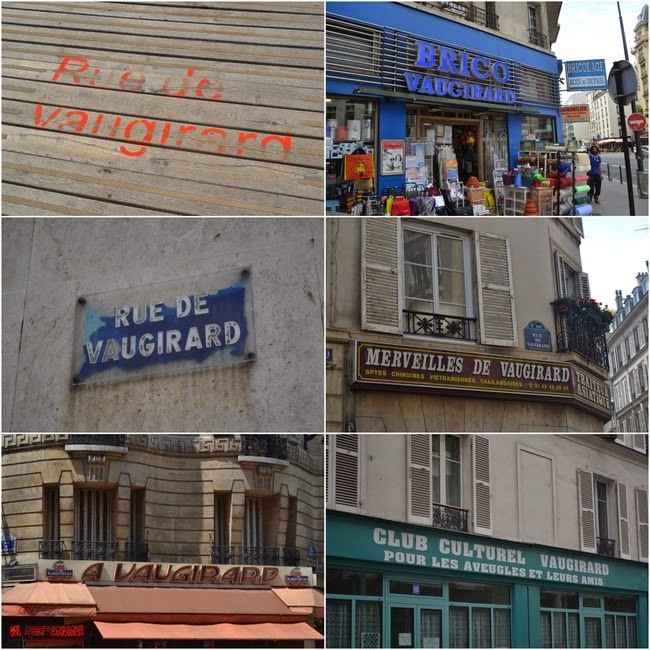 Snaking across the south west of the city, the Rue de Vaugirard is of course a road I’m familiar with. It has six Metro stations dotted across its length, and I regularly cross its path, north-south, east-west or back and forth in rectangles. Never before though have I walked from number 1 to number 407. Before setting out, I did no research and gave myself no addresses to look out for. I did though announce my mission on Twitter and received one reply I was expecting. ‘Isn’t Avenue Dausmesnil the longest street in Paris?’ Well, arguably, but as a large chunk runs through the Bois de Vincennes and a stretch of it is even in the suburb of Saint Mandé I (and most others) have discounted it! The Rue de Vaugirard is the longest truly Parisian street - even if much of it was swallowed by the capital 150 years ago. I chose to walk away from the centre of Paris rather than towards it. Heading away from Paris always feels like a journey whilst walking into the city feels like coming home. I wanted this walk to be a voyage. From its start (or end) point on the Boulevard Saint Michel opposite the Sorbonne University, it is difficult to understand why this street should be the third cheapest address on the French Monopoly board. Alongside the bourgeois apartment blocks are shops selling chintzy china, antique radios and vintage photography equipment. There are no electronic cigarette distributors, long-distance call stores or greasy fast-food establishments, and before long I’m at the gates of the Jardin de Luxembourg. I’m not tempted to go inside, despite signs advertising forthcoming Guignol shows. I guess enough of those already take place in the Palais du Luxembourg, the seat of the French Senate and of course the headquarters of the German Luftwaffe in France during the war. Joggers pass me by on the other side of the iron railings, their stiff expressions telling me that they’re trying to forget that it’s 1pm and nearly 30°C. Ahead the road is blocked to cars going in my direction, and the street seems to already be moving slightly downmarket – or towards something more ordinary. The property prices here are surely still way beyond most people’s budgets, but there’s brick here, a Chinese traiteur – ‘Merveilles de Vaugirard’ no less – and a small supermarket with shoppers who seem to know each other. On the junction with the Rue d'Assas is the huge brick mass of the Institut Arthur Vernes, a kind of private hospital. The facade is already somewhat eccentric, a muddle of styles and eras, of columns and balconies, but the courtyard - that I discover through a passageway - is even more peculiar. Here the institute looks more like a cross between an asylum and a malevolent factory, with aerial passageways stretching between buildings 30m above my head. At number 72 I come across the Carmes convent, the first of I suspect many religious establishments. A sign tells me that it was briefly also used as a prison and was the scene of a terrible massacre in revolutionary times. It is though of course closed as I pass by. Opposite, something more mundane catches my eye - the first electronic cigarette shop in the street. This one is called ‘Urban Smoker’. Is an Urban Smoker any different from a country smoker I wonder? Before I can come to any conclusion I spot something else to trouble my wandering mind; an out of business fast-food outlet called ‘Hot Dog Corner’ - nowhere near the angle of any street. Its illogical nature, rather than the quality of its food, must have jinxed the establishment. The quixotic nature of this stretch of the street is further exacerbated by a religious bookstore selling cheesy touristic postcards and souvenirs of Paris. All in all I’m glad to see the Rue de Rennes in front of me, and to slide into a new section of the Rue de Vaugirard. Here things are much quieter. This is an extremely commercial part of the city, but there is nothing on this part of the Rue de Vaugirard. There is industrial brick, a large car park and self-storage facility, and suddenly a slightly menacing atmosphere, perhaps brought on by the stormy skies and the wailing police sirens in the distance. There is another chapel – the Notre Dame des Anges – and next door an ‘espace de rencrontre culturel et spiritual’. A few doors further along, a monastery and suddenly a first glimpse of the Tour Montparnasse. 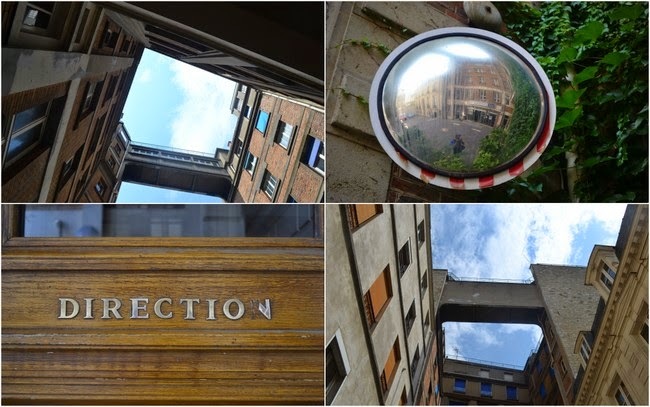 I cross the road to look through the window of an unusual space – the Club Culturel Vaugirard pour les Aveugles et leurs Amis. Behind the net curtains it is spartan – almost monastic – which seems suitable for this street, but is also closed on a Saturday. This section is somewhat brutally brought to an end by the graceless Boulevard du Montparnasse. This gap is not the work of Haussemann though, but rather the remains of the old city limits and the circular garden path created by Louis XIV. Around 50 metres across, I leap into the 15th arrondissement and out into what was once the Chemin de Vaugirard, a path that lead to the centre of the old suburban village of Vaugirard. The first building on the street houses a chemist shop, labeled – surely in the 19th century – ‘Pharmacie de Première Classe’. Despite passing several religious establishments already, it is only here that I spot my first nuns. The religious theme continues with a street named ‘Impasse de l’enfant Jesus’, which actually sounds more like a chapter in the bible, but is logically situated alongside one flank of the Necker children’s hospital. 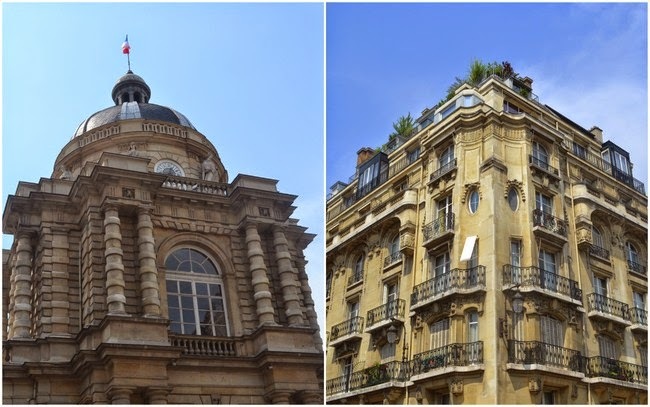 At number 131, by the Falguière Metro station, is one of the most impressive sites so far; an elegant large-scale apartment block - known as the Cité Garnier - designed by Léon-Joseph Madeline in 1936. In a long street bordered mostly by solid grey rectangles, this is a seductive curve of colour, a blend of golden honey tiles and bunches of leafy green foliage. The Rue de Vaugirard here is quiet, perhaps because it has also become a one-way street. The architecture is at once both more modern and more ancient than in other stretches, with 18th century low-rise suburban sitting alongside 1970s high-rise. There are many empty shop units here, but the animation seems to pick up as soon as the Eiffel tower rises into view above the Rue Borromée. I'm now in what was the heart of the old village, but it is difficult to imagine what it may have looked like. Curiously it seems rather to be where all the chain stores are grouped together. There's even a Starbucks here! On the menu of an Italian restaurant here I see that one of their pizzas is called the 'Vaugirarde', but as it contains mostly merguez sausages I'm sure they didn't have the old village in mind. A little further along are supermarkets and hardware stores, one of which sells three different kinds of fake grass. Is there such a big market for such products in this part of Paris? Real grass can be found in the Jardin de l'Hôpital Vaugirard. Previously the garden of a hospital, it was transformed into a small park when the hospital moved to a new site. Curiousity - a message commemorating a military hospital that the Brazilian government set up here during the First World War. Always fascinated by vintage shop signs, my eye is caught by one for a hairdressing salon. It's named 'Claude Coiffeur', and it seems that Claude is standing outside. Inside the salon I see that the fittings are a similar vintage to Claude himself, but sadly there are no clients. Leaning on the doorpost, is Claude waiting for customers or for his retirement? I'd like to go in for an old-fashioned wet shave and a chat, but I can see the end of my journey in sight. Just before the end of the street, the old Petite Ceinture railway line passes overhead. This stretch was recently converted into a footpath, so I take the steps up towards what was once the Vaugirard passenger station. The bridge over the road gives me an excellent perspective back towards the centre of Paris. It may be the longest street in Paris, but it is far from being the busiest. In fact, this arcing, historic, asymmetric street is surprisingly quiet. Traffic surely prefers the wider Haussmannian routes, but this makes the street a much more pleasant walk. It's at once extremely wealthy and highly ordinary, ancient and modern, attractive and banal. A snapshot of Paris in miniature. Back at ground level, the Rue de Vaugirard comes to an end - or begins, spilling out into the cacophony of the Porte de Versailles. Its ancient route continues out of the city, down towards the South west of France, but this is where my journey ends. I check my Twitter account and see messages pointing out spots on the road I hadn't even noticed - the secret and rarely open Allée Maintenon, F Scott Fitzgerald and Zelda's apartment - but then that wasn't the goal of the walk. I simply wanted to say I'd walked the full length of the city's longest street and to see if it had anything unique. Its singularity might be its diversity of atmospheres and architectures, but that's not a bad characteristic to boast. Thank you for your fascinating account! 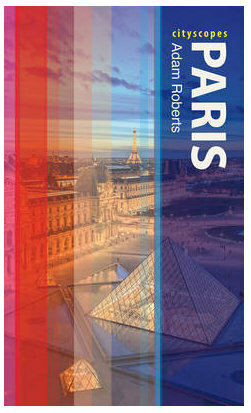 I've only been able to afford two one-week trips to Paris, but I love it dearly, and I always enjoy your blog posts. Thanks for all the research and wonderful photos! Lovely trip down that street. And it's my son's favourite street in the French edition of Monopoly (good value for money, apparently). Such a nice walk and far from other long streets' more extravagant particularities perhaps due to your own perception of what is going on around you. La rue Blomet is parallel to Vaugirard just behind Metro Volontaires: this is where the surealists André Masson, Joan Miro, Desnos and Leiris and others lived, in the 1920's at No 45. Now transformed into a little Square with a sculpture by Miro in the centre and the "boules" club of the 15th arondissement on the side. Object of an interesting exhibition in NY at the end of 2013 "Surealism and the rue Blomet". The houses around have not changed much. Just got home from staying at the Hotel Louison, 105 Rue de Vaugirard. Wasn't peaceful at night! Sirens and motorcycles and noisy trash collectors. Also, you didn't mention the Pasteur Institute- we turned the wrong way leaving the Falgieres Metro station and found ourselves passing its august premises- a thrill for a medical geek even after a long day in Montmartre. Enjoyed the trip down memory lane- thanks!